This is Steven - Immediately can I just thank you for checking out my Patreon page! If you're interested in a bit of background about me, well, I've had a longstanding interest in audiobooks, voice acting, and the importance of the role of immersive sound in media as well as for relaxation through mindfulness, ASMR and other good stuff. I first recorded a splatter of book extracts several years ago and actually finished my very raw version of 'The Hobbit' summer 2016 but had never really committed to the idea of distributing my content - aside from with a handful of friends. However, after some fantastic feedback and success I have been investing a lot of time and effort into this endeavor - all made possible by your generous help, amazing support and priceless encouragement! I have a very active channel on YouTube with weekly uploads, so to all my listeners, please do comment with your thoughts and critique, like my videos and subscribe to help support my channel. I find feedback hugely motivating and rewarding, further inspiring me to keep making new and better material! - The first issue that I mean to address is my equipment. I am desperate to invest in professional recording equipment, including microphone and editing software. I hope to also purchase a video recorder to expand the range and style of my content. - Secondly, I would love to be able to concentrate on being a full-time content creator but this will be extremely difficult with YouTube's Google AdSense revenue alone, the earnings are very low. Currently Google takes a 45% cut of all YouTube advertising revenue. Patreon on the otherhand take only 5%... wow! Talk about respecting where your investments go, and enabling their creators to benefit and grow as much as possible. Consequently with your patronage I can begin to seriously commit to providing quality recordings that hopefully thousands of you out there will love! Do you already have a favourite reading of mine? New to Red Fox Voice? Name credited as a public thank you in many YouTube video descriptions and highlighted in the Discord chat channel (unless you wish to be anonymous). "Apprentice audio access" through Google Drive, containing full audio & video files of my individual chapter readings and complete audiobooks of Harry Potter Books 1-3, The Lord of the Rings, The Hobbit & Jurassic Park (downloadable), with all new chapters added! Access to the "Advocate audio library" through a Google Drive folder, with 200+ files available to download including several series exclusive to the folder. ALL new YouTube/Patreon/Twitch recordings and livestreams added. Access to NEW 'Behind The Scenes Bonus Library' through Google Drive, containing chapters from my Official Audiobooks for Audible, as well as auditions, any new voice-acting/voice-over recordings & certain files that I am editing so that you can have a peak into my creative process. The right to commission a book of your choice to be read by me! - Yes I have reintroduced requested readings! I will produce 1 recording a month for you from a book or piece of your choosing for every month that you pledge. Each finished recording will be roughly 30-60 minutes long depending on the time required to produce/edit and your preferences. - click here to take a look! Headphones on? Let's get started. I sincerely hope you choose to support me here, look forward to hearing from you & officially welcoming you into the Fox Fans, and most importantly... that you enjoy what you hear, while you are here! Again, thank you & Read to you soon! Would you simply like to offer some extra support because you like what I do? Well that is fantastic! - You also get access to my Patron-Only posts which include when to expect fresh uploads and livestreams on YouTube, previews and updates on current projects, and a place for discussion in an exclusive forum. - AND, Patron-Only polls so that you can vote on new content, such as what we read next on the Red Fox Book Club and my Raw Reading series! - Plus, your name listed in many of my YouTube videos to publicly display my thanks, unless you wish to remain anonymous of course, as well as your name highlighted in the Discord chat. All support of any level is hugely appreciated! Thank you and welcome!... Stay Foxy! Want to take things to the next level? Fox yes! All downloadable, with all new chapters added! Cheers Fox Fan! This really means a lot! Wow! A dedicated Fox Fan indeed! "Apprentice audio access" through Google Drive, unlocking full audio & video files of Harry Potter Books 1-3, The Lord of the Rings, The Hobbit & Jurassic Park (downloadable with all new chapters added). As an Advocate you will be given access to my full catalogue of recordings (200+ files!) for your own personal use and download. - The Google Drive audio library includes ALL of my past & present YouTube content and is updated with every new upload that is added to my channel and to the Patreon news-feed, including livestreams from YT & Twitch. Several other bits & bobs including professional voice-over work, auditions and demos. Thank you so much for joining! You won't regret it! Need that extra Fox Fix? You are helping to master this craft Artisan! "Apprentice audio access" through Google Drive, unlocking full audio & video files of Harry Potter Books 1-4, The Lord of the Rings, The Hobbit & Jurassic Park (downloadable with all new chapters added). Access to Advocate Audio Library through a Google Drive folder, with 200+ files available to download including several series exclusive to the folder. ALL new recordings/livestreams added. Access to NEW 'Behind The Scenes' Bonus Library through Google Drive. Become a beta test listener for my new professional work! 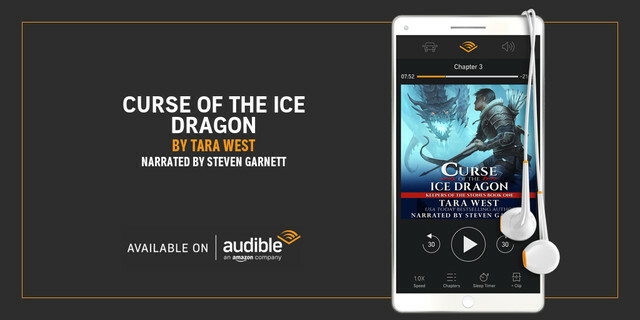 - The downloadable library contains several chapters from all of my Official Audiobooks for Audible; Sleepers, Guardians of the Blue Planet, Curse of the Ice Dragon etc, as a lengthy sample of what is available for purchase, and as a preview of what is to come! - As well as auditions, any new voice-acting/voice-over recordings & certain files that I am editing so that you can have a peak into my creative process. Thank you from the bottom of my Foxy heart... Enjoy! Access to NEW 'Behind The Scenes' Library through Google Drive, containing chapters from my Official Audiobooks for Audible, as well as auditions, any new voice-acting/voice-over recordings & certain files that I am editing so that you can have a peak into my creative process. - Yes I have reintroduced requested readings! - I will produce 1 recording a month for you from a book or piece of your choosing for every month that you pledge. - The finished recording will be roughly 30-60 minutes long depending on the time required to produce. More highly polished/edited - a little shorter, live or more of a "raw reading" - a little longer. - Each recording can be shared on YouTube, Patreon or privately depending on the piece and your preferences. Thank you so much for joining at this level, I really am extremely grateful! Wow... did we really just hit that last goal?! Talk about "every cloud has a silver lining" - I lose my original, monetized and oh-so precious 'Steven Garnett' YouTube channel, but within two weeks almost 100 of you answer the call for support... you are an absolutely incredible community! So I have taken a huge hit financially with losing my rapidly growing monetized channel (we were over 12,000 subscribers strong with over 15,000 views, and 700,000 minutes of watch-time a day!)... but your continued support can help to counter that hit, and help me to push onward and upward! I have poured endless hours into rebuilding, replacing and even improving what I lost from my YT channel, as well as bringing you new content in and amongst. I hope that you are enjoying everything that I do! ...if you enjoy my content then you can help this become a reality...and the reward? Bucket loads of awesome recordings! Sincerely, thank you all for being a patron of mine, and contributing to this wonderfully foxy community! To show my gratitude if we are able to reach the $1000/month goal (after deductions, declined patrons etc) I will launch the FANTASTIC RED FOX GIVEAWAY! But what can you win? - 6 month access to the $2 Apprentice Google Drive folder! - 6 month access to the $2 folder & $5 Advocate Google Drive library! - FREE copy of my first official audiobook: "Sleepers"! - 6 month access to the $2 & $5 folders & $10 Artisan/Alchemist Bonus Google Drive library! - FREE copy of my NEW official audiobook: "Curse of the Ice Dragon"! - FREE copy of my next published official audiobook! 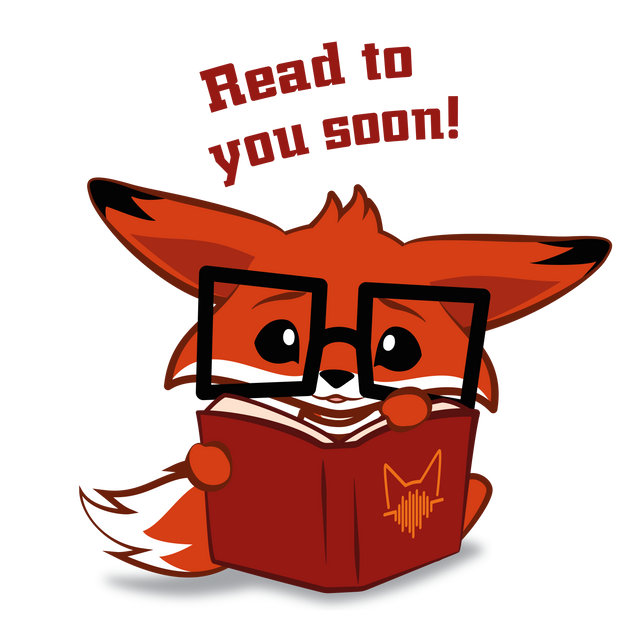 - PLUS a signed Hardcover Journal of your choice from the Red Fox Voice Redbubble merchandise collection!